February 8th from 5pm till 9pm. Located at 1070 Centre Turnpike in Orwigsburg, PA.
We are hosting our 2nd Annual Vintage Sweetheart Night. Start your night with us at this Super Special Night with the Girls & Guys at Vintage 61. We will be having Bouchette Vineyards....they are going to be offering Wine Tasting and Wine For Sale. Bake Shop VI will be here offering all of their Delicious Baked Breads & Chocolate Goodness!!!! If you have not tried their Goodies....Put it in your List!!! 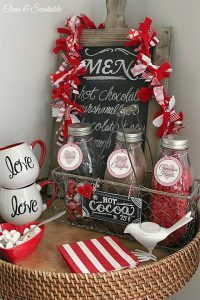 Our Sweet M's Candy Shop will be with us as well offering tastings and Chocolates for your loved one as well......Get you Valentine Shopping Done with us.......Plan a Girls Night and Join us!! !